Whether you are a construction company, industrial company or other commercial company chances are you need to transport heavy equipment to job sites. Here at Accurate Towing Service we offer the perfect solution to moving bigger, taller and/or heavier items with our lowboy service. Dump trucks, boats, box trucks, buses, building materials and other construction materials and equipment are not too big for our lowboy shipping service. With our affordable rates and high-quality heavy hauling service, you can feel secure knowing that your equipment will be moved safely and securely with our lowboy transport services. 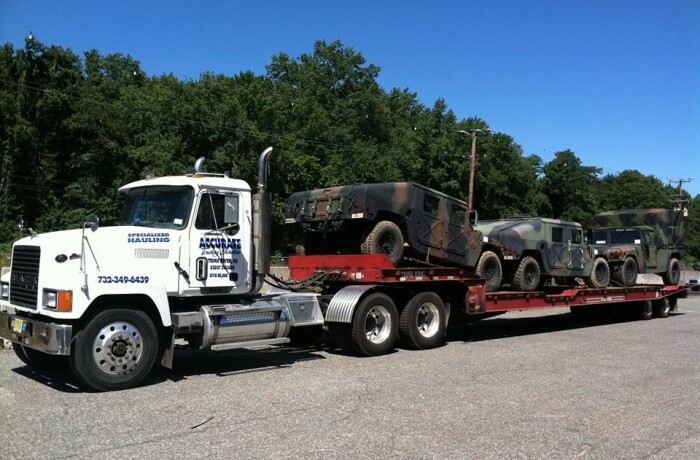 Accurate Towing Service is an experienced, reliable New Jersey lowboy transport services specialist that can handle your heavy equipment shipping with care. We offer full lowboy shipping service for all commercial and industrial relocation. This gives you a professional solution you can trust.